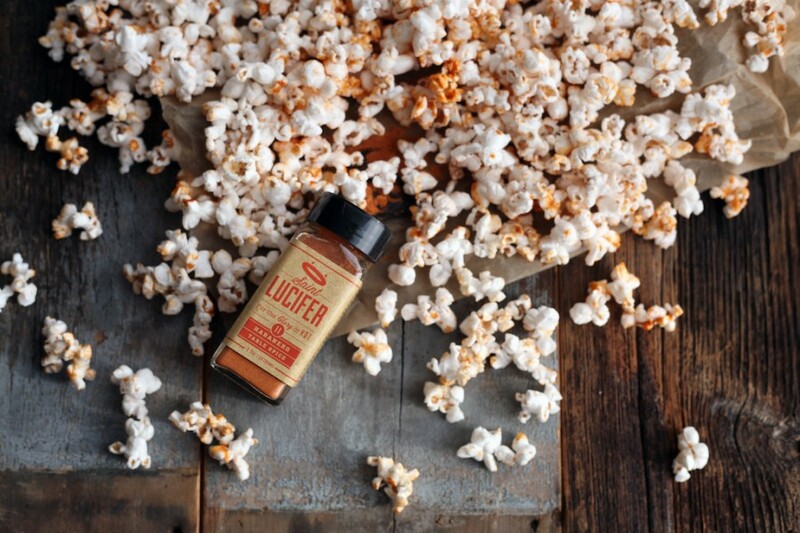 Spice Up Your Life - By Way Of Food - With Saint Lucifer Spices | Blog | Di Bruno Bros.
We’re peppered red with excitement to bring a variety of St. Lucifer spicy things to our shelves this winter. As you know, sugar and spice make everything nice, so use with abundance and get creative while you do. 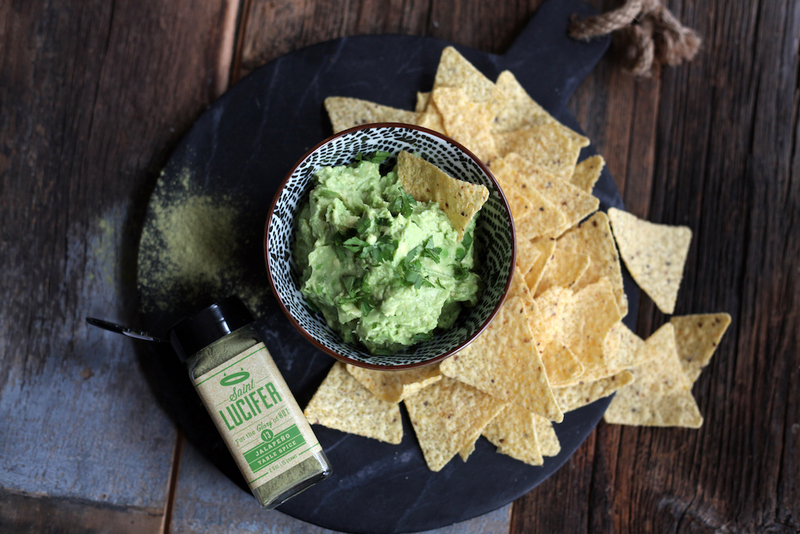 About Saint Lucifer: Native Philadelphians Ted Ebert and Tom Hewell loved to eat, and they wanted to create a seasoning that would make everything it touched taste better. No humble task. So in a small row home kitchen, hidden within the heart of Philadelphia, they began experimenting. And blending. And grinding. And tweaking. And tasting. And behold—St. Lucifer’s was born. We took our test bottles and ran wild with them. 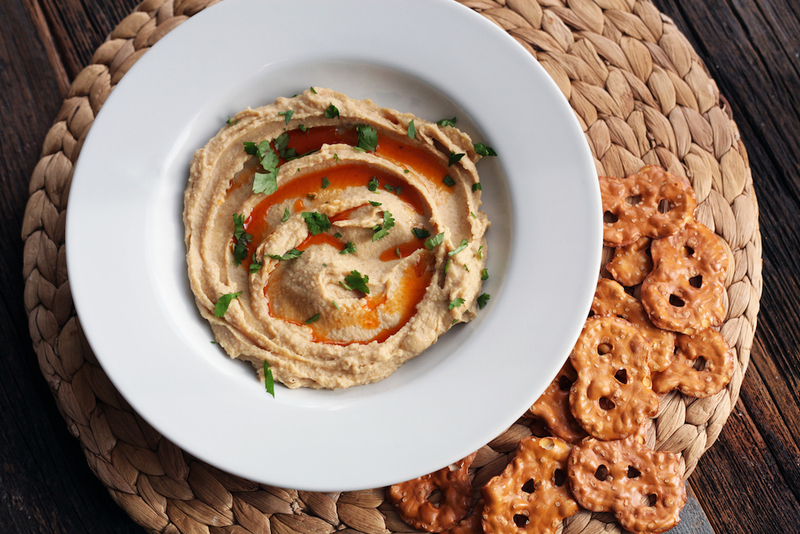 Their website is full of great suggested recipes (click here to go to there) and here are our own favorite eats. 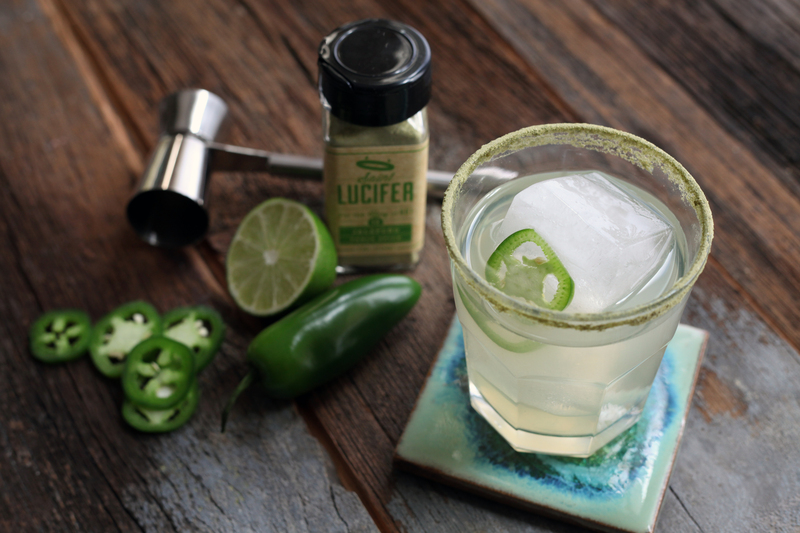 Saint Lucifer’s Table Spice #13 is a zesty blend of salt, jalapenos, onion, cilantro, garlic, lime & a touch of vinegar. We heard jalapeno, and our minds instantly went to all different kinds of Mexican-inspired cuisine. This will be good on tacos. This will be great with homemade tortilla chips. Add it to aioli and slather it all over your grilled corn on the cob. Burritos, tortilla soup…the list goes on. For experimentation purpose, we kept it simple. You can never go wrong with margaritas or guacamole in terms of snacking, so we tested our Table Spice #13 on those. Add this directly atop your guac, or mix it in when you’re smashing all of those avocados in place of the traditional crunchy salt. Don’t nix the herbs – cilantro plays so nice with this jalapeno spice. And if you can take your drinks with a hint of spicy personality, rim your next margarita glass in this jalapeno spice mix. Your lips will tingle, and that’s great. Why shouldn’t you buy illegal seasonings? It’s always a shady dill. Table Spice #11 was the first Saint Lucifer product and remains one of the best-selling to this day. The secret behind the spice is that it’s not just fiery, it’s flavorful too; habanero peppers are blended with careful amounts of garlic, salt, vinegar, and paprika to create a precise balance that can enhance just about anything—shake it on fish, meat, vegetables, whatever. 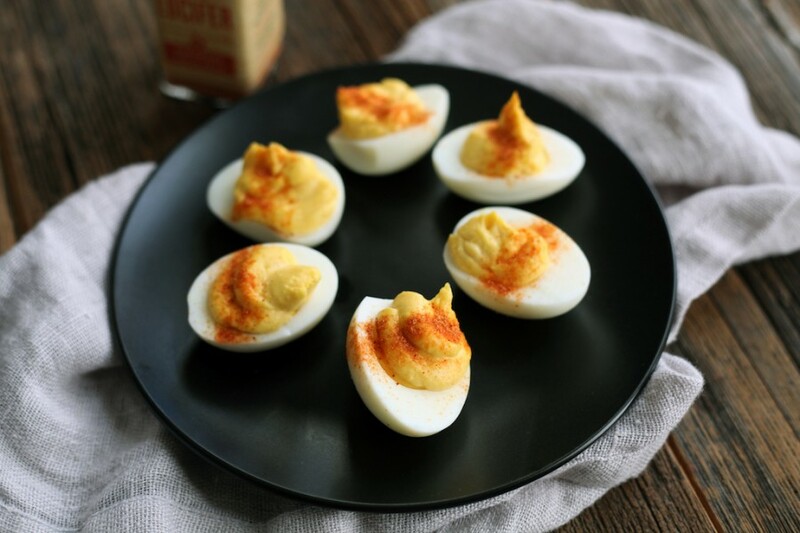 Maybe we just wanted to make devilishly corny deviled egg puns, but these deviled eggs with habanero spice are freakin’ delicious. I mean, deviled eggs are delicious. Any egg with hot sauce is delicious. How could these things together go wrong? As predicted, they didn’t. Consider these spicy treats the next time that you’re bringing deviled eggs to a friend’s gathering, or a potluck, or wherever else you bring deviled eggs too. 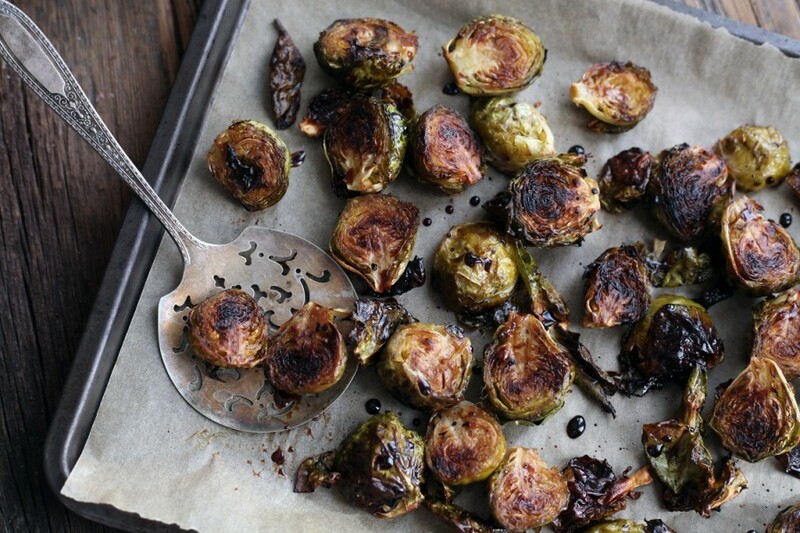 They go great with a cold hoppy beer to wash down all that spice. Another option for the Habanero spice that you can eat far greater quantities of would be spicy popcorn. We aren’t suggesting that you can’t eat handfuls full of deviled eggs, but it’s far healthier to gorge out on popcorn rather than eggs. Fair statement? Now, a disclaimer. Popcorn with habanero spice is delicious, but be cautious on your quantities. A bit of habanero dust may fly when you are picking up pieces of popcorn. You may even inhale a bit of spice before actually eating the popcorn, just because popcorn isn’t as sticky of a food as some of the other things mentioned in this post. …but still, try it. It’s delicious. Balsamic vinegar is a pantry staple, and this one is something special. Made specially in Modena, Italy just for Saint Lucifer, this premium quality, barrel aged, all natural and gluten free balsamic vinegar has been infused with habanero peppers for a hint of a kick. It’s not too intense—think of it more as heat meets sweet. We threw it on some Parmigiano Reggiano, which may offend a purist or two out there. 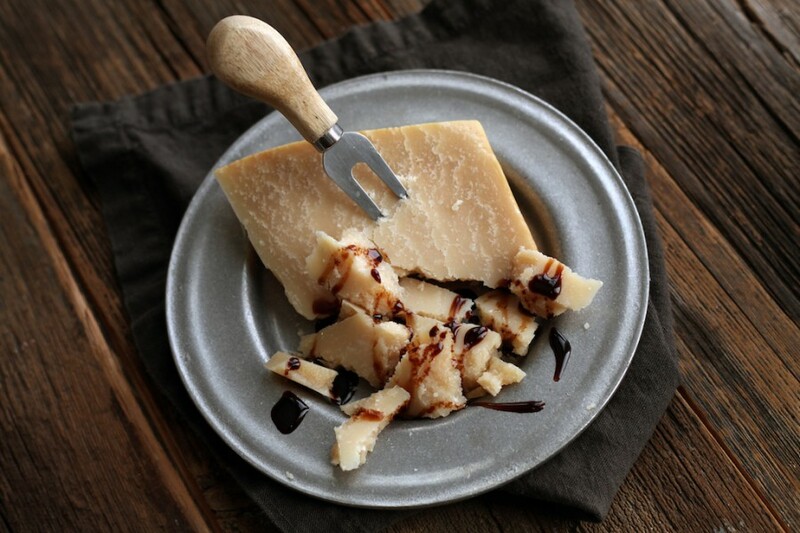 Tradition be damned, it’s one of the most fun alternatives to Parm + balsamic that we’ve tasted in a minute. It’s a pairing that you know and love but elevated in a new direction. Future oil plans for us include testing it atop a big bowl of ramen, and we shall report back once we do. How do you plan on using your favorite of these spicy delights?